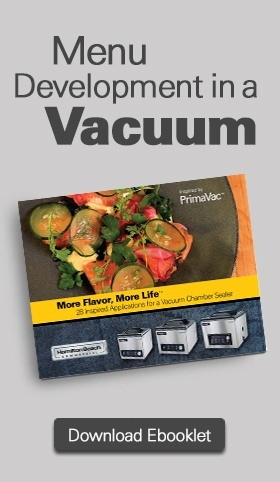 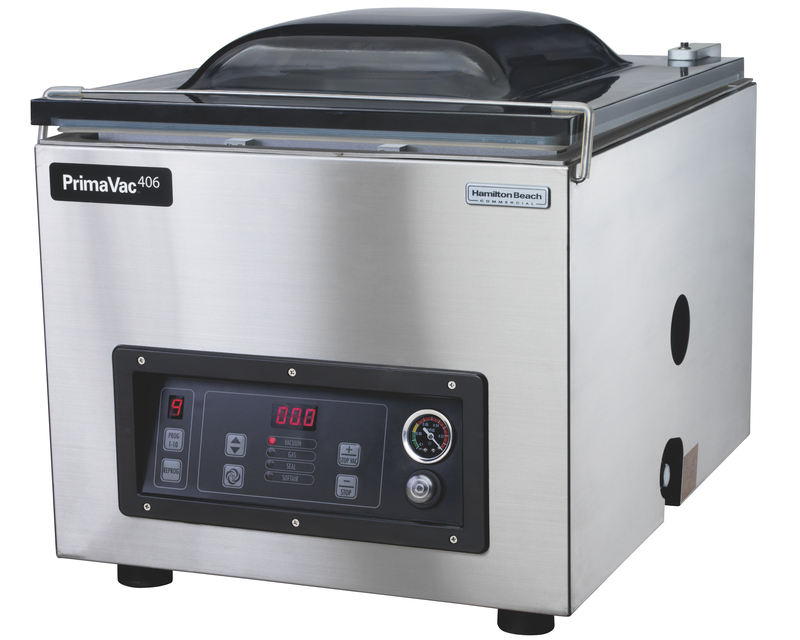 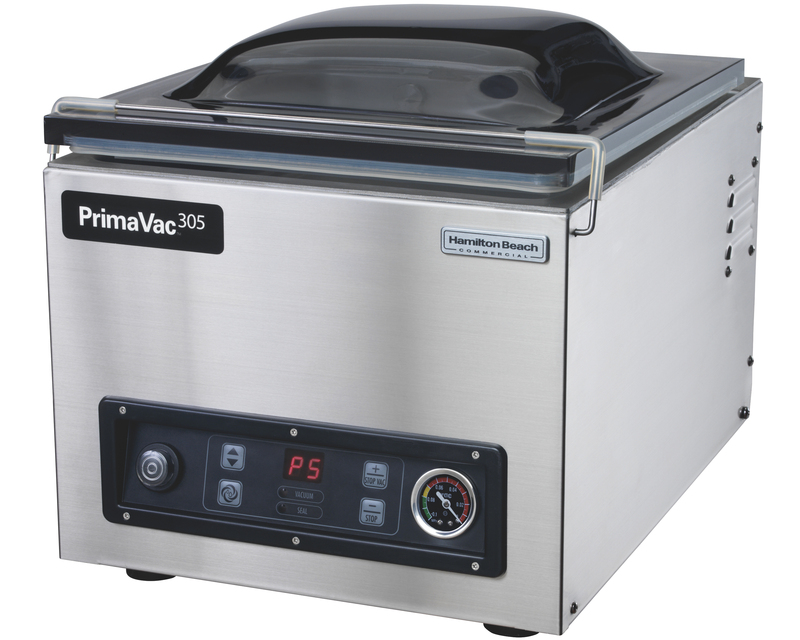 The PrimaVac™ line of vacuum packaging machines from Hamilton Beach Commercial® help you capture freshness, preserve quality, and infuse maximum flavor. 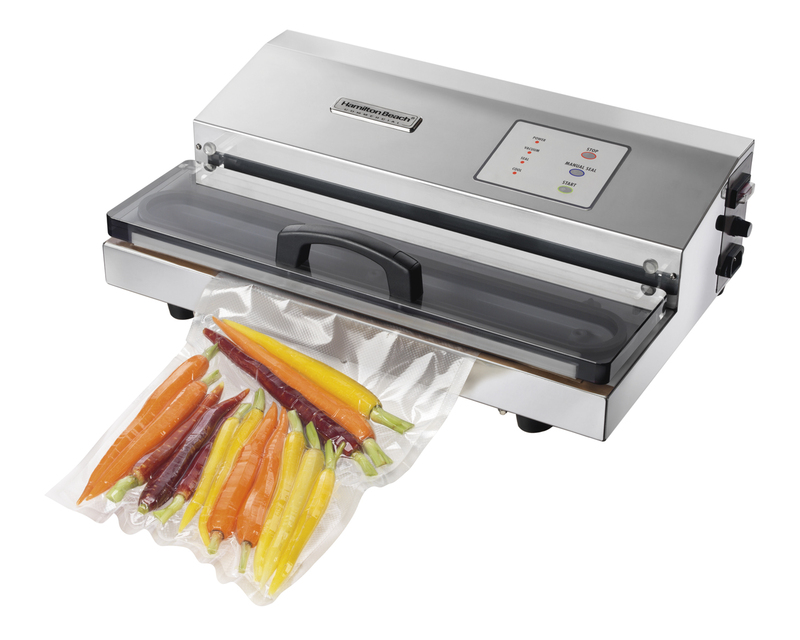 Vacuum sealing gives commercial kitchens the flexibility they need for a wide range of tasks, from retaining food's freshness and color to giving chefs the ability to easily store, preserve, marinate or prep a wide range of dishes for applications like sous vide. 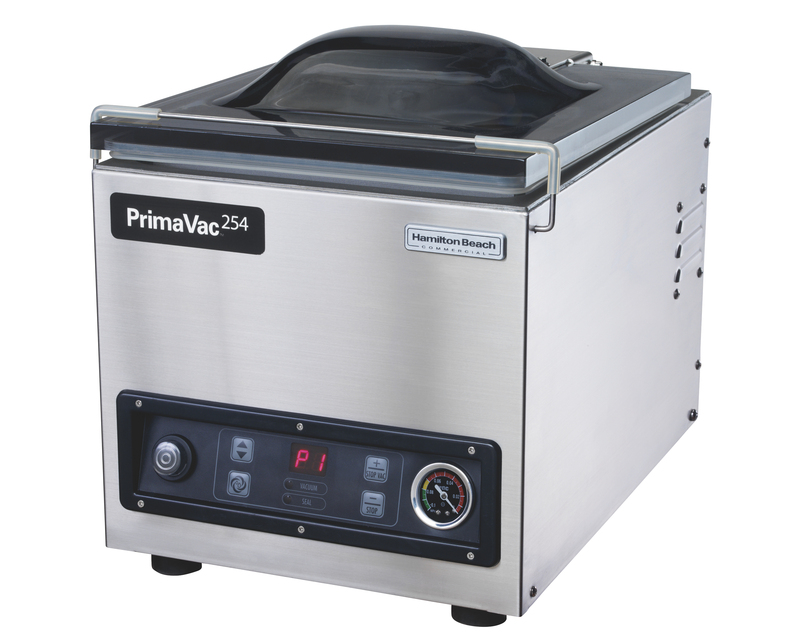 Each in-chamber vacuum packaging machine features a powerful JetAire™ pump that ensures 99.9% air evacuation; 10 programs to automate vacuum sealing and eliminate guesswork; and adjustable soft air to slow compression and help protect delicate food.